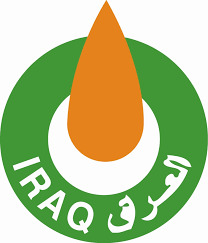 The Iraq Ministry of Oil News: The Ministry of Oil Agrees with a Global Company to Implement Projects. The ministry of oil agreed with Foster Wheeler global company to cooperate on implementing the projects of raising the reservation & exportation capacities. Mr. Fayadh H. Niema the senior deputy minister of oil said during his heading to the meeting with Foster Wheeler global company "by the presence of some responsible members from the ministry and the south oil company" that the ministry of oil is keen to develop and update the exportation, reservation, pipelines and counters systems, in addition to the implementation of the new projects which contributes in raising the exportation & reservation capacities to higher levels which can be proper with the future plans to raise the oil exportation from the southern ports. Mr. Niema stressed on the necessity of cooperation with the well-known global companies on the project consultation & implementation issues. It is worthy to mention that Foster Wheeler is one of the companies which consulted the planning & implementation of many projects to develop the oil exportation system, the floating terminals, and the offshore pipeline extension from the Faw port to the exportation system.